A great place to recharge oneself with that special "spark of life" called "Chi," is to simply be in outdoor places and parks where there's plenty of fresh air, direct Sunlight, natural green-grass and trees. Being barefoot in Nature more often, allows the Earth's vast electro-magnetic energy grid to effortlessly reset the body's frequency, to the more stabilizing and rejuvenating pulse of 7.83 Hz -called "The Schuman Resonance." Chigung practice is an ancient Chinese fitness and wellness method of detoxifying, energizing, strengthening and integrating all aspects of the self. During the practice, the physical, the mental, the emotional and the spiritual dimensions of an individual can be gently and safely harmonized through various breathing methods, coordinated body movements and mindfulness practices that help develop inner stillness and whole body power. The synergy of practicing these components together calms the emotions, clears the mind and grounds excess negativity, leaving you feeling more positive, connected and revitalized. And, consistently practicing these simple techniques and routines, for only 10-20 minutes daily, can produce a lighter more buoyant feeling in the body that greatly increasing your sense of wellbeing. 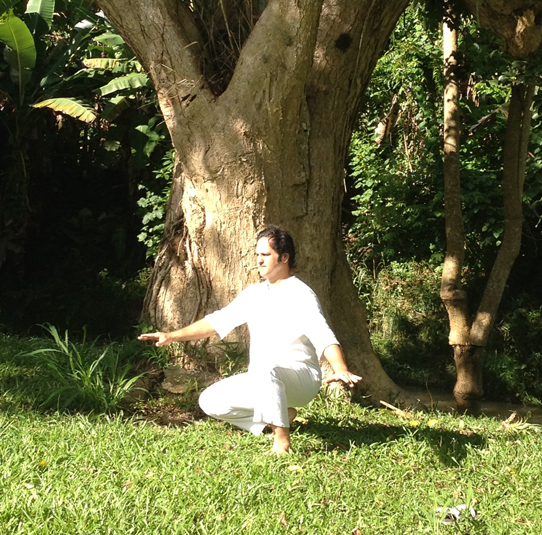 Qigong practice is commonly first done by standing still and holding any variety of static upper body postures, then it can smoothly transition to moving slowly and rhythmically. But, it can also be performed in these other primary ways: lying down, seated, standing upright and being still, moving slowly, moving quickly and or walking in various patterns and directions. These gentle yet powerful exercises methods are great for helping to restore lost vitality, because its special twisting movements effectively purge-out stagnant blood from the organs and deeply accumulated toxins from the joints and body tissues, resulting is a lighter and freer body that feels recharged, vibrant and more alive. Originally discovered and perfected by mountain dwelling Taoist hermits, more than 8,000 years ago in ancient China, this unique health, fitness and wellness method eventually became a highly organized system and complete energy science for body rejuvenation. 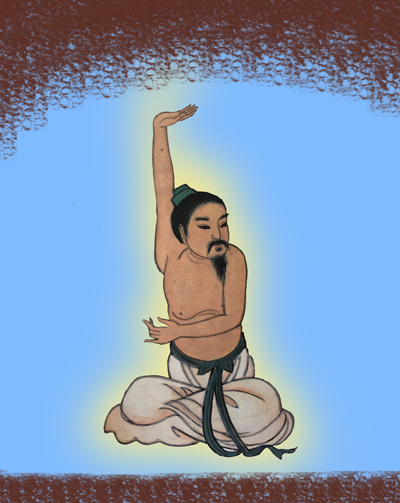 Throughout most of China and her neighboring Asian countries, qigong training adopted itself to the local customs and beliefs, influencing the local martial arts, indigenous healing systems and providing energetic support for spiritual leaders, priests and shamans, serving as a root system for gaining and maintaining good health and fortune. 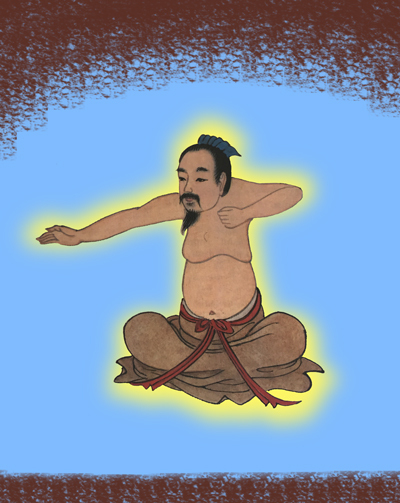 For centuries, countless individuals have benefitted from its highly refined breathing techniques and skillful ways of guiding the mysterious and intelligent Chi-lifeforce into and out of the body's physical center, called the lower "tantien" (an "elixir field" located just slightly below the navel and inside the abdomen), where just like a battery, the multiple layers of fat, muscle and fasciae of the belly area can store energy for a raining day. The synchronized efforts of doing deep abdominal breathing while performing circular/rhythmic movements and mindfully guiding that special Chi-lifeforce into and out of the body's center, allows the heart and mind to truly clam down. So now, at this point the body can effortlessly reintegrate itself and start recuperating and healing more quickly. 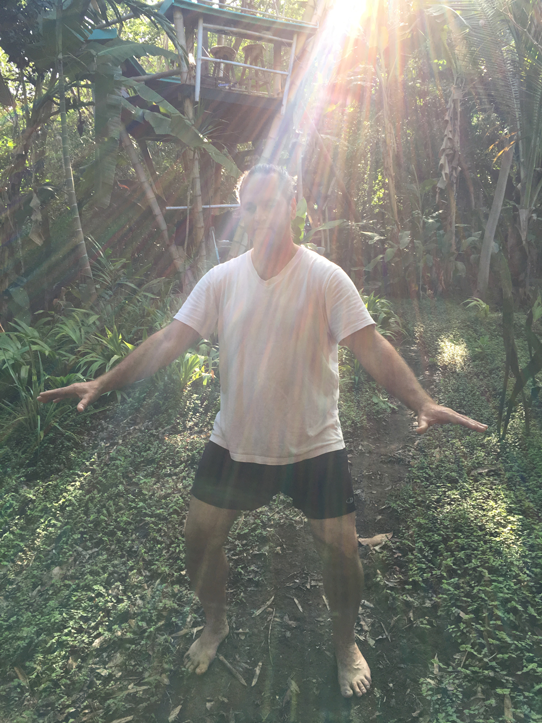 Daily qigong practice also progressively and naturally increases your personal awareness and consciousness of "Shen" or "Spiritual Energy" -a more subtle form of bio-electro-magnetic force that modern science lately has identified as "Source Energy" eminating from "Dark Matter" or the "Quantum Field". "Shen," in other religions is similar to the concept of the "Heavenly Mother/Father Spirit", "Mana" or "Wakan Tanka". But mostly, these fluid and graceful movements of qigong are philosophically neutral, non-religious, non-dogmatic and non-judgemental, and can easily be incorporated into anyone's religious beliefs. Chigung is primarily an earth energy art and science that has exhaustively documented When, Where and How best to harness the Earth's vast network of energy nodes and natural resources, that can help alleviate and enhance the human condition. 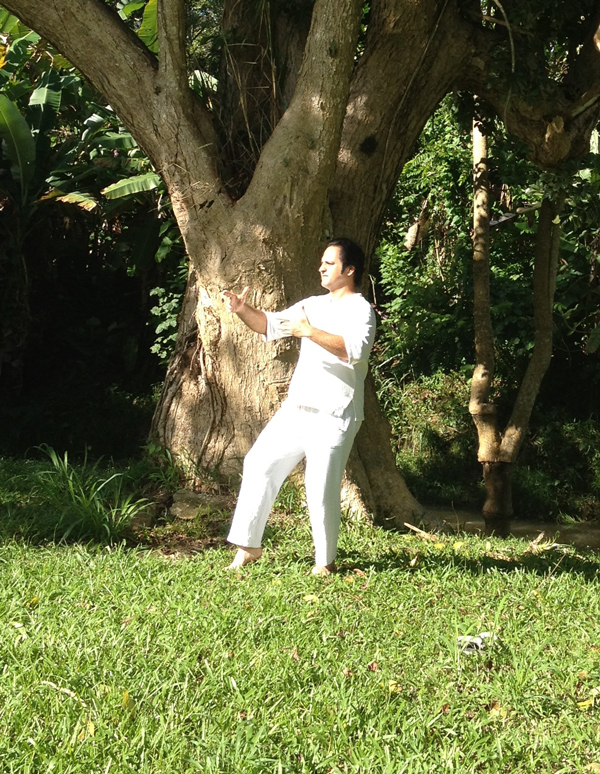 Qigong training is deeply rooted in the natural philosophy and principles of Taoism and Chinese medicine, where it is believed that most diseases and illnesses plaguing human beings are primarily caused by excessive living and the misuse of one's Chi (life-force / bio-electro-magnetic energy / breath power). 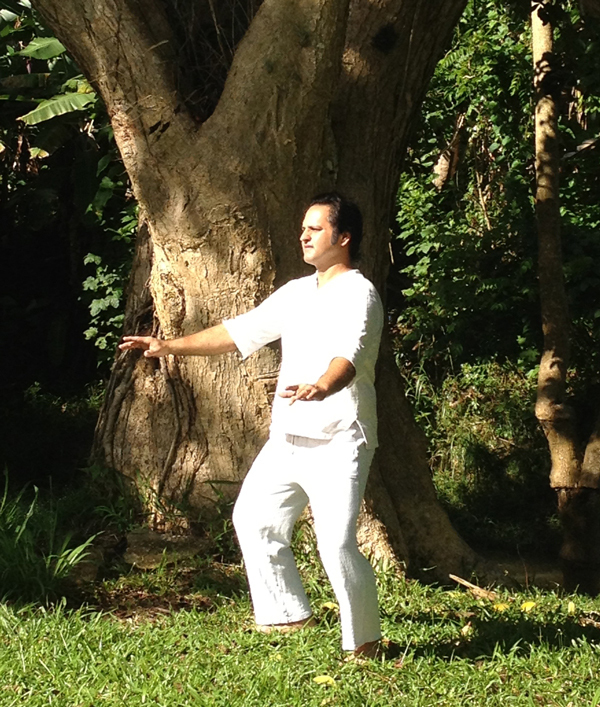 For millennia, Qigong's beautiful forms have reliably helped millions of people throughout the world correct their energy imbalances, prevent illness and recover from injuries more quickly. And, more importantly, it helps maintain your vitality so that you can realistically achieve your personal goals, without sacrificing your health and wellbeing. So, regularly exercising and walking in open-air spaces and parks, getting enough rest and direct Sunlight, eating locally sourced fresh-whole-living-Vegan foods raw and or lightly cooked, maintaining a positive attitude, having fewer burdening thoughts, eliminating toxic relationships and instead cultivating quality friendships, will dramatically help prevent illness and disease. And, by making these simple lifestyle changes in conjunction with adding qigong practice to your daily routine, you will gain a higher quality of life and set a strong foundation for true health and wellbeing.